I'm the overly-coordinated sort - the type who matches the metals on her purse to her jewellery (for this reason I have two versions of my favourite handbags, i.e. two Chanel 2.55s - one with silver hardware, the other in gold) - so when it comes to travel, you know I'll have planned a theme for an entire trip. In Helsinki, I was a normcore hipster (although I failed to get a proper outfit shot of myself rocking ripped boyfriend jeans) stomping about the Design District in search of what makes the Nordic cities the catalyst of all things destined for Pinterest's trending page. It seemed only appropriate that I'd go for the 'boutique' experience, one I duly found smack bang in the middle of the city centre on a leafy, narrow boulevard where the sight-seeing trams ramble by. 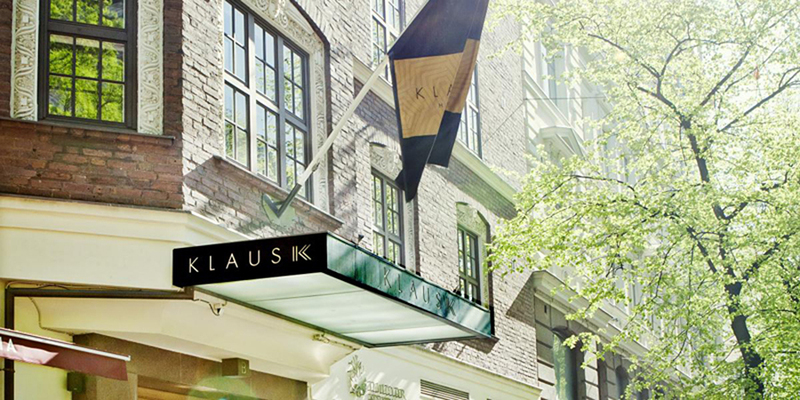 Klaus K is Helsinki's first design hotel whose aesthetics are inspired by Finland's national epic, Kalevala. 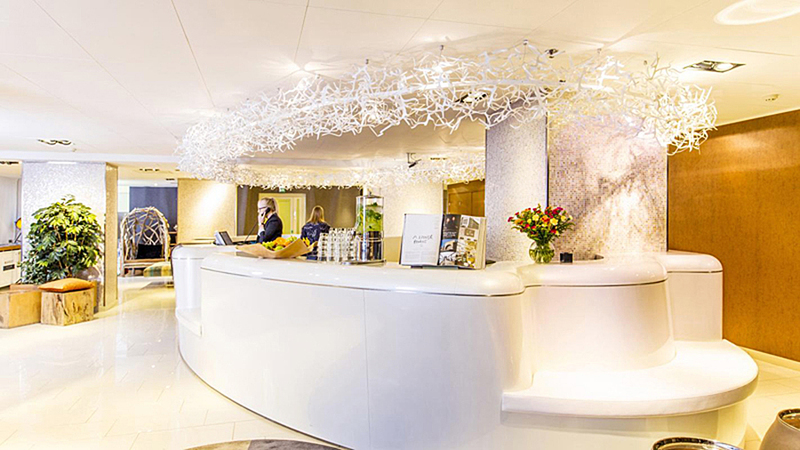 Allusions to the hotel's history is woven among the modern details of the hotel's decor - you'd just as easily spot a giant sculpture made from silkworm cocoons as you will find framed embroidered verses from ancient poems. The rooms and interior express four emotional themes; Mystical, Passion, Desire, and Envy - and it was in our Desire King room that Henry and I had to fight, on a daily basis, the overwhelming want to stay in our ridiculously comfortable beds to watch TV all day. A care package from the tourism board, Visit Helsinki, who kindly welcomed me with a press kit including Helsinki Cards ie. the Golden Ticket that grants you free access to the city's museums and sights, privileges, and free public transport including the ferries that take you to Helsinki's many islands. 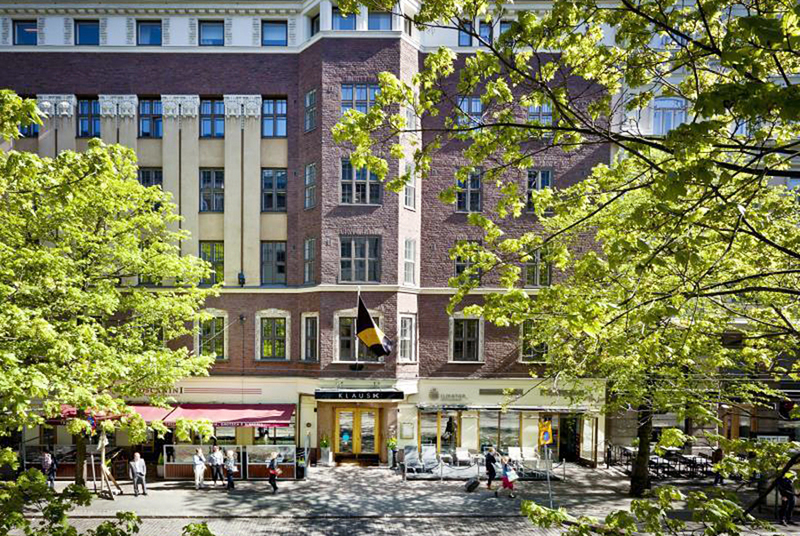 *Our stay in Helsinki is partially sponsored by Hotel Klaus K Helsinki and Visit Helsinki, but all opinions are as always, mine and mine only. The hotel looks SO gorgeous! Scandinavian hotels are the best. 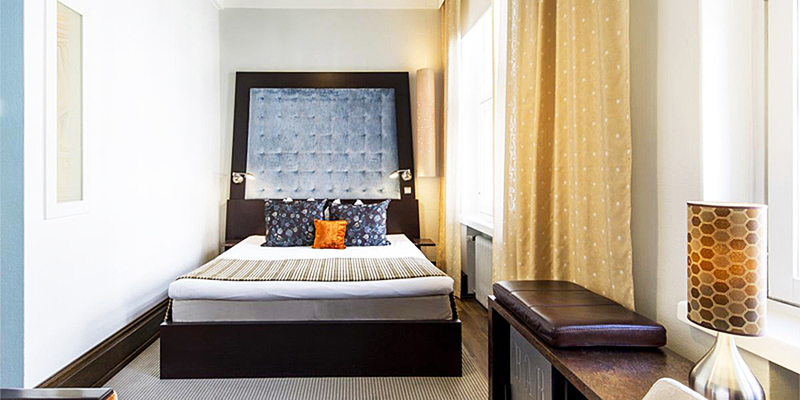 When I went to Copenhagen I loved the design of our hotel, it was so swish and 'cool'. Whoa, this place looks amazing! What a beautiful design hotel, I the funky wall paper and the big over-sized head board! Noooo way! Well you learn something new every day ;) haha! I always thought it was part of Scandinavia! If you do ever decide to go to Vilnius, may I suggest three very different options? Ramada for the sophisticated luxury (if a bit boring 16th century-everything), but slap bang in the centre. Moon Garden Hotel for something artsy and unusual. A bit of a walk/taxi. and finally, Vilnius Grand Resort. The weirdest, most curious and certainly puts the 'fun' in funny. They think they're Bora Bora. It's outside the city, and mostly recommended for a nature/spa/detox getaway rather than a city break.